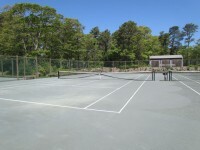 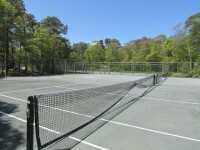 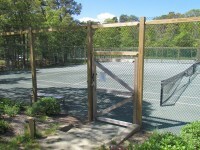 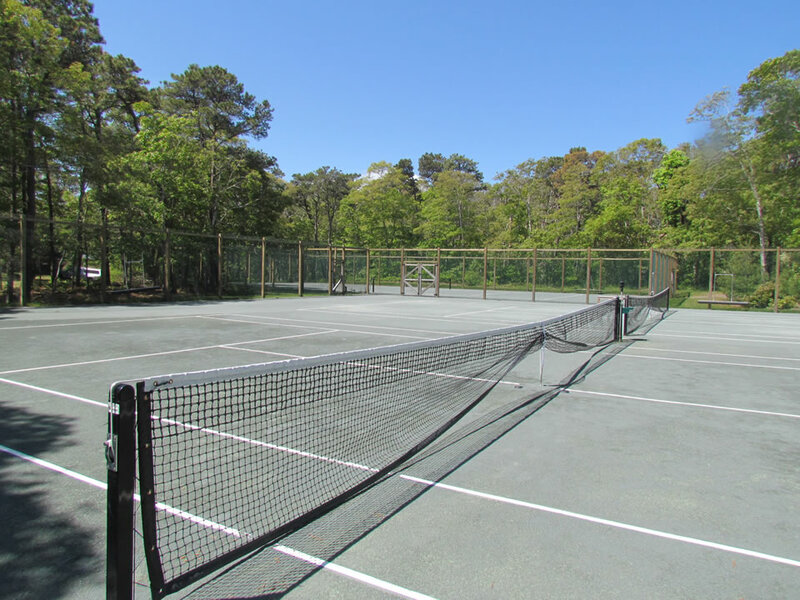 The East Chop Tennis Club celebrated its 100 year anniversary a couple of years ago and it is still one of the strongest tennis communities on Martha’s Vineyard. 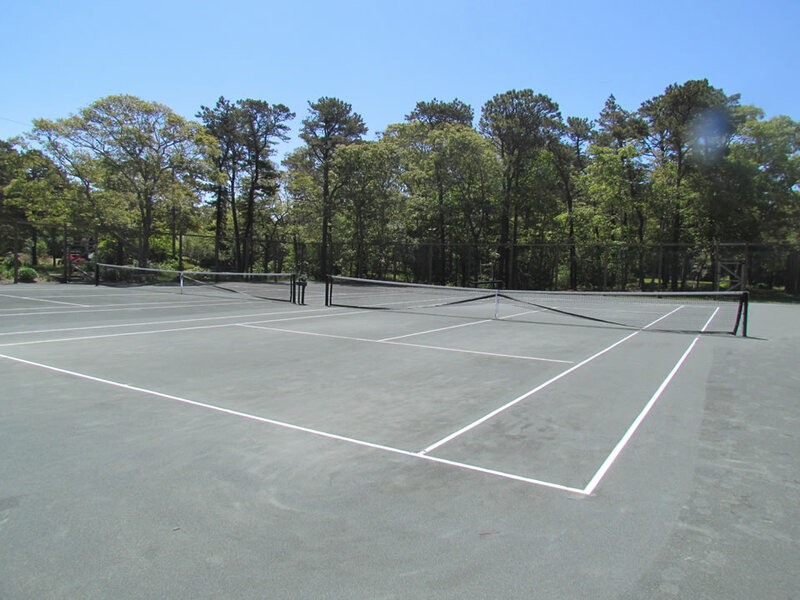 The club has been a long time client and asked our team to reconstruct 3 of their old natural clay courts with the faster drying Har Tru surface. They also had a rustic fence around much of the property and although it had to be modernized, we had to maintain the look and feel with our new design. 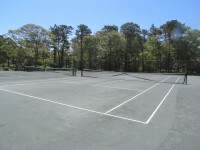 The new courts are the most popular in the club and we are already sketching out the plan for the reconstruction of the other five over the next several years.